Honey, Honey *do do do do do do*...skincare. I swear I didn't forget about this and had the best intentions to continue posting here. It's been over a year since I last posted here, so, you're all definitely do a bit of an update and that will be coming! 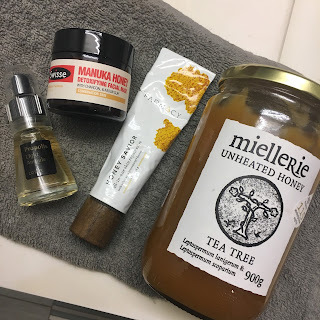 For now, I wanted to share some of my favorite honey related skincare items. Honey Savior is one of those products that starts out as something I didn't think I needed really but quickly has become a staple in my arsenal. It's a balm that's castor oil based that also contains Propolis and Royal Jelly along with a small amount of honey. I first started using this amazing salve as a lip balm or a cuticle cream, however, I've started using it to tame fly aways in my hair, as a brow gel, on any areas of skin irritation (it works amazing for razor burn), on a blemish post-extraction or when it's a bit dry and flaking during the healing process, and the list could go on and on. I'm probably going to be picking up a second tube to keep one in my bathroom and one in my bag as I need this in both places. Ingredients: Ricinus Communis (Castor) Seed Oil, Hydroxystearic/Linolenic/Linoleic Polyglycerides, Helianthus Annuus (Sunflower) Seed Oil, Honey Extract, Canola Oil, Propolis Extract, Royal Jelly Extract, Polyhydroxystearic Acid, Caprylic/Capric Triglyceride, Rhus Succedanea Fruit Wax, Rhus Verniciflua Peel Wax, Echinacea Purpurea Root Extract, Hydrogenated Castor Oil, Euphorbia Cerifera (Candelilla) Wax, Helianthus Annuus (Sunflower) Seed Wax, Tocopherol, Ascorbyl Palmitate, Beeswax, Copernicia Cerifera (Carnauba) Wax, Honey, Flavor. Apologies to my non-Australian readers, but this gem isn't available outside of Australia/NZ other than on eBay unless you're a better hunter than I am! I picked this up on trip to Australia earlier this year for my honeymoon and immediately regretted not picking up more during my visit (Priceline had Swisse Skincare half off at the time too!). Last week I was back in Australia for a wedding and immediately stocked up with what feels like a year supply...or close. This mask offers the benefit of oil and gunk absorbing charcoal, kaolin clay, and tapioca starch in an aloe base and never dries out the skin, which is probably due to the aloe, manuka honey (which I'll touch on the difference below), glycerin, and oatmeal. The ingredient list looks like an expensive, luxurious mask but the price point is that of something very accessible. I think for those of you who are fans of Glamglow SuperMud (Or for those of you who find the peppermint/exfoliation in SuperMud too strong) would love this gem. 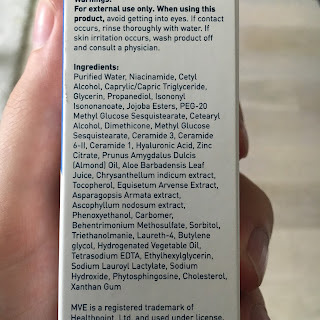 Ingredients: Aqueous Extract of Aloe Barbadensis (Aloe Vera) Leaf, Kaolin, Tapioca Starch, Glycerin, Magnesium Aluminum Silicate (White Clay), Charcoal Powder, Avena Sativa (Oat) Bran Extract, Honey (Mel)*, Ascophyllum Nodosum Extract (Seaweed), Salicylic Acid, Citric Acid, Eucalyptus Globulus Leaf Oil, Myroxylon Pereirae Oil (Balsam of Peru), Xanthan Gum, Carrageenan (Irish Moss), Dehydroacetic Acid, Benzyl Alcohol. *Manuka. With K-Beauty being all the rage at the moment (rightfully so), ULTA has started carrying a small selection of COSRX products online -- the makers of my favorite Acne Pimple Master Patch. I picked up three or four items a few months ago online when ULTA was running 5x points for Platinum Members and this was one of them. Upon arrival, I shelved it in favor of other products but after falling in love with Honey Savior a few weeks ago, I pulled it out and started using almost four weeks ago and haven't turned back. COSRX is known for their minimal ingredient lists that only contain exactly what you need. 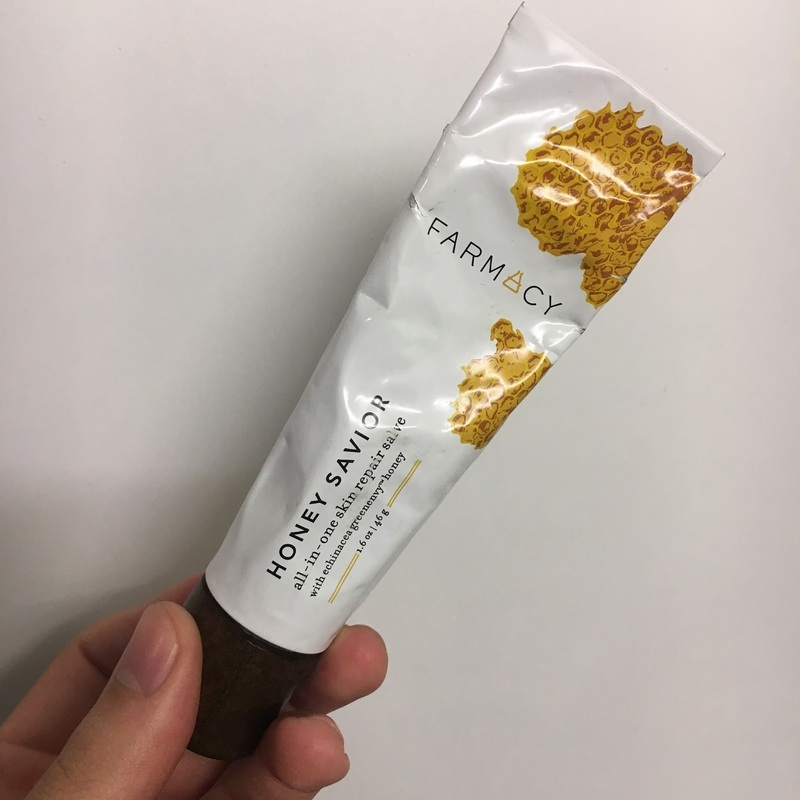 This is a base of Propolis Extract with a couple of other ingredients to help hydrate and nothing else. Ampoule may be confusing to those not into K-Beauty, but think of them as a concentrated serum, so, get rid of the water/silicone and instead load it up in exactly what you want. I use about 3-4 drops on damp skin right after cleansing or chemical exfoliation prior to my B-Hydra from Drunk Elephant. I've noticed my skin is less red, any spots I get have been healing quicker, and my skin is more plump without any greasiness. I'd highly recommend this for all skintypes, but oily/acne-prone skin that is prone to dehydration would love this. 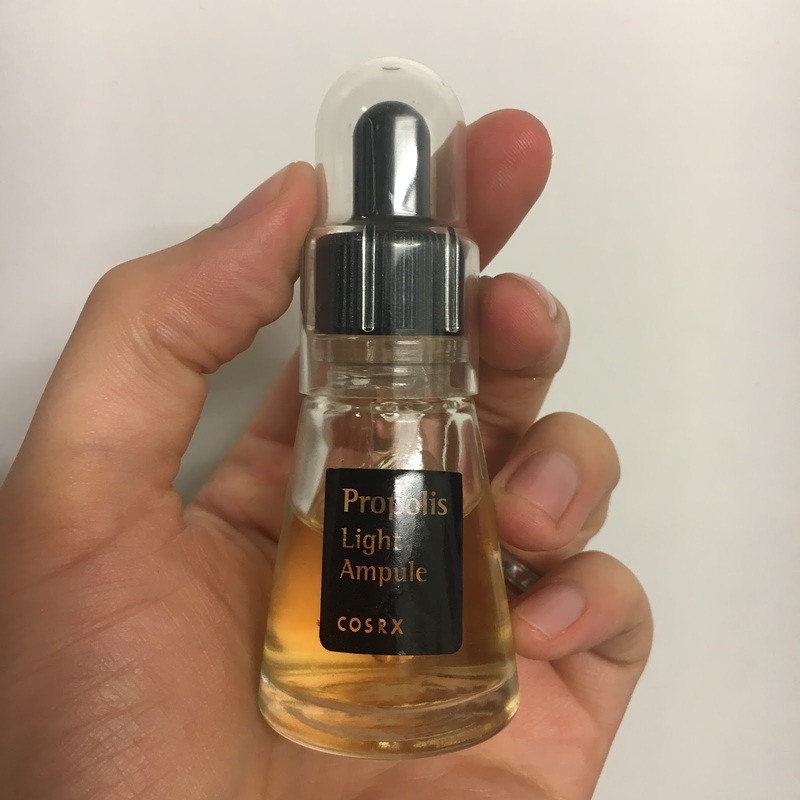 Ingredients: Propolis Extract, Butylene Glycol, Glycerin, Betaine, 1,2-Hexanediol, Cassia Obtusifolia Seed Extract, Sodium Hyaluronate, Hydroxyethylcellulose, Carbomer, Panthenol, Arginine. 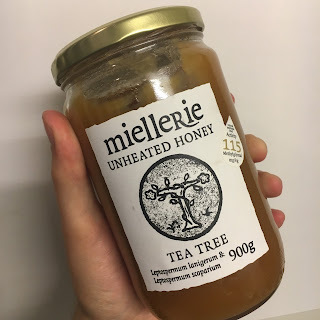 -- Check for a UMF (Unique Manuka Factor) or MGO (Methylglyoxal) rating on your honey. If it doesn't have one, don't buy it. These are two ways to tell the purity or strength of your honey. I wouldn't buy Manuka honey unless the UMF rating was at least 10+ (anything else isn't considered active) or MGO of at least 100. 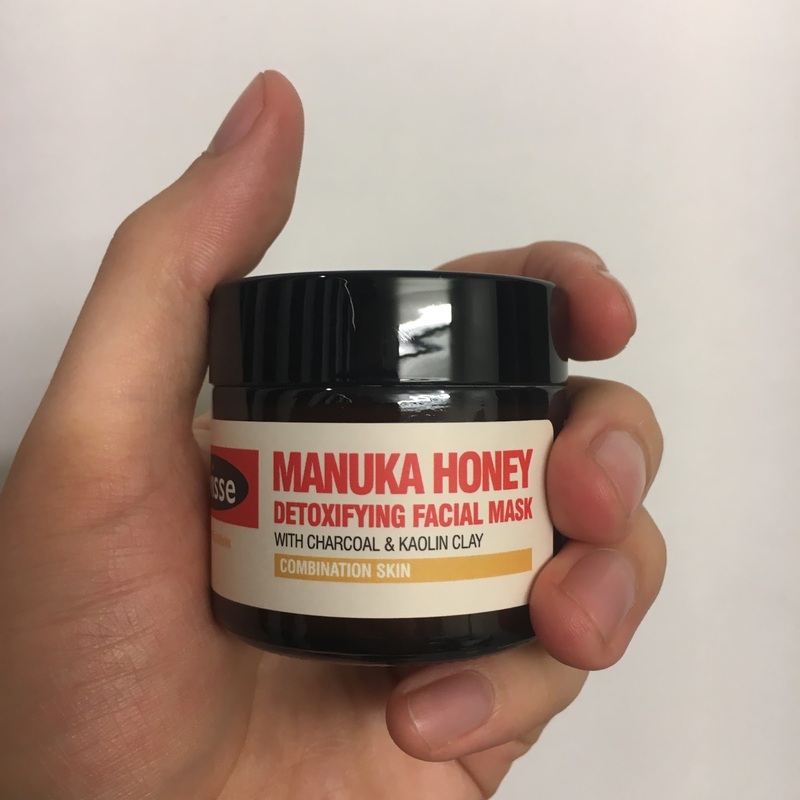 -- Non-Makuka honey is still beneficial to the skin, just check your ingredients to make sure you're using something that is actually just honey (No added dyes, flavors, or fluff ingredients). Manuka is the preferred honey for those looking for the extra antibacterial benefit. -- Manuka honey has a long shelf-life when not expose to heat (bathroom storage for skincare purposes may not be ideal), but I'd still recommend decanting into a smaller container if you intend on using regularly that way you don't have to dip into your giant tub regularly (I have a small 1oz jar I refill). I feel like I could continue talking all things honey, but maybe this is more for a YouTube Live? Let me know if you'd like to talk all things honey with me at some point! **Some links may be affiliate links. This implies that I will receive a small commission if you chose to shop through those links. 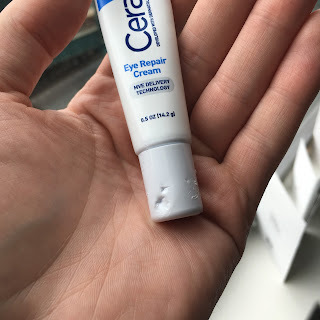 Thrifty Thursday: CeraVe Eye Repair Cream. My apologies for the lack of posting here for the past week. I helped out at the Australian Consulate here in NYC for a few days for the Australian Election. I'm back though and what better way to be back and with a classic segment from my YouTube channel: Thrifty Thursday! 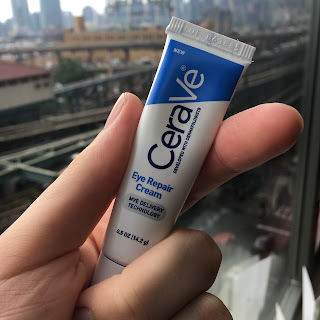 For today though, we're talking all things eye cream, more specifically, the CeraVe Eye Repair Cream. I like this eye cream. I don't think it's the end-all-be-all eye cream, but it's good...and not even "good for $14," but actually good. I've tried it for a few weeks on and off, but I did use it solely by itself morning and night for a full week. I didn't notice any benefit in terms of dark circles (one of the claims of this product -- I subscribe to the school of thought that eye cream won't really help with dark circles though), but I did notice my undereye area was plumped up and smoothed over for a few hours after use. In the AM after using in the evening, I'd notice my undereye wasn't dry looking, but it could definitely benefit from a little eye cream (tiny fine lines looked more apparent). Kate Somerville Cytocell is the closest in texture, but I find the CeraVe more hydrating. Kate Somerville Line Release is thinner and more slippy (higher silicone content). M-61 Hydraboost is creamier and feels more hydrating. Dr Gross Ferulic and Retinol Eye Serum is thinner and less hydrating. Caudalie Premier Cru is creamier and almost a touch more "oily" feeling. Drunk Elephant's Shaba Complex Eye Serum is thinner and faster absorbing. Overall, I'll happily use this eye cream up, but I don't think I'll need to repurchase (I've always got way too many eye cream open). I'd definitely recommend trying it out if you're looking to save a little on your skincare somewhere (Unfortunately my favorite way to use this is over the Drunk Elephant Eye Serum which is $85, so, I'm not really saving, am I?). If your eye area is actually quite sensitive or reactive, I'd say you might like this as it's fragrance free and isn't overly active in terms of things like acids or retinol. For the makeup wearers out there, this sits beautifully under concealer and I don't find I get additional creasing or a dry looking undereye throughout the day. I don't wear mascara or liner on my bottom lashes, so, I can't help there -- sorry! I'll forgive him because today is his 1st birthday :) Happy Birthday Jeffrey! 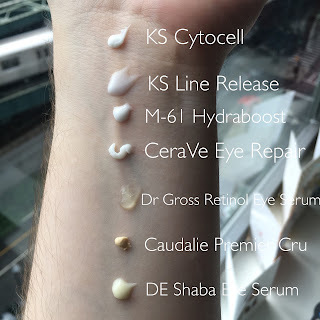 What's your favorite eye cream? Leave me a comment and let me know! FOREO Luna 2 Sensitive Review + 21% off all FOREO. Happy Tuesday everyone! I hope you're all doing fab. So I've been using my device for a little over two months now and I think I've formed my full opinion of it. I really do like the little guy, however, I don't think it's 100% essential for everyone out there. I do find the FOREO Luna series superior to the Clarisonic in terms of cost (You won't need to buy brush heads ever), hygiene (The FOREO Luna is made of nonporous silicone, so, it won't harbor bacteria like a nylon brush would), and convenience (You only need to charge the Luna 2 every seven months if you're using it daily). So, if you're looking to treat yourself to a new cleansing device, I do think the Luna 2 is a great option. There are currently four devices in the Luna 2 series: Normal, Combination, Oily, and Sensitive. I opted for the Sensitive device as it has smaller touchpoints across the entire surface of the brush, where the other brushes either graduate to larger touchpoints as you move up the brush or have larger touchpoints all over. In comparison to the original LUNA, the touchpoints are longer and more flexible, offering a more gentle cleanse than even the original device as well. As someone who subscribes to regular chemical exfoliation and is also a washcloth + cleansing balm user, I don't need my Luna 2 for exfoliation, so, I tend to reach for the anti-aging mode more than I do the cleansing side. FOREO has launched the Iris (Available here) which is specifically designed for applying product to the eye area. I'm considering picking this up, however, I do like that I can use my LUNA 2 for more than just my eye area when it comes to applying skincare. So to recap, I feel like the FOREO Luna 2 is a great option if you're looking to incorporate a cleansing device in your routine. FOREO does offer several different styles of device (their original series is still available on their site as well) plus other categories of product (Chris and I both love our Issa Hybrid toothbrushes). I don't think using a cleansing device is essential to anyone's skincare routine, but if it will promote using good skincare practices such as proper cleansing and is your main source of exfoliation, I'd definitely say go for it. I do love my Luna 2 for the application of product and would definitely recommend that. I hope this was helpful for those of you considering picking up a FOREO device. Let me know your thoughts if you have a device and for those of you like myself with more than one, which one is your favorite? Father's Day is approaching, so, I'm sure plenty of you are considering what are some potential options for you to get your Dad, your husband, your boyfriend, or just a special someone in your life (Chris' birthday is actually later this month, so, I'm personally on the hunt for something for him too). I thought it might be a great idea for me to share a few items I'd recommend picking up for maybe someone who isn't so skincare saavy or someone who may be looking to do a step or two for their skin. Paula's Choice Skin Perfecting 2% BHA (Found on Paula's Choice here) -- I've only been using this for a week myself (Hence my last post being my first impressions on this), but I can already highly recommend this as something to use post-shaving for the prevention and treatment of ingrown hairs. Ren Micro Polish Cleanser (Found on Sephora.com here) -- A lot of guys love scrubbing their face (I know Chris does), but if you cringe of the thought of them destroying their face with overly exfoliating, aggressive physical exfoliants, this is a great option. It has a small amount of lather, works great pre-shaving, and the granules are very small and gentle on the skin. Jack Black Intense Therapy Lip Balm SPF 25 (Found on Sephora.com here) -- One of my classics and still a staple. I've tried almost all the flavors, but still go back to the Natural Mint. Hydrating, not too shiny unless you apply a ton, SPF 25, and the best part? It's under $10. Foreo Issa Hybrid Toothbrush (Found on Foreo.com here) -- Chris and I both own the Issa Hybrid and are in love. The silicone bristles are gentle on gums while the traditional bristles thoroughly clean your teeth. My gums have never looked healthier. Bonus? Foreo has the Cool Black device for 25% off through June 19th, so, you can save $50! Foreo Luna Men 2 (Found on Foreo.com here for 25% off too!) -- This is also 25% off for the same sale as the Issa, but this is a great option for an exfoliating cleanse pre-shaving with your existing favorite cleanser (I wouldn't use it with one that has exfoliating granules like the Ren mentioned above, but any gentle cleanser will work). 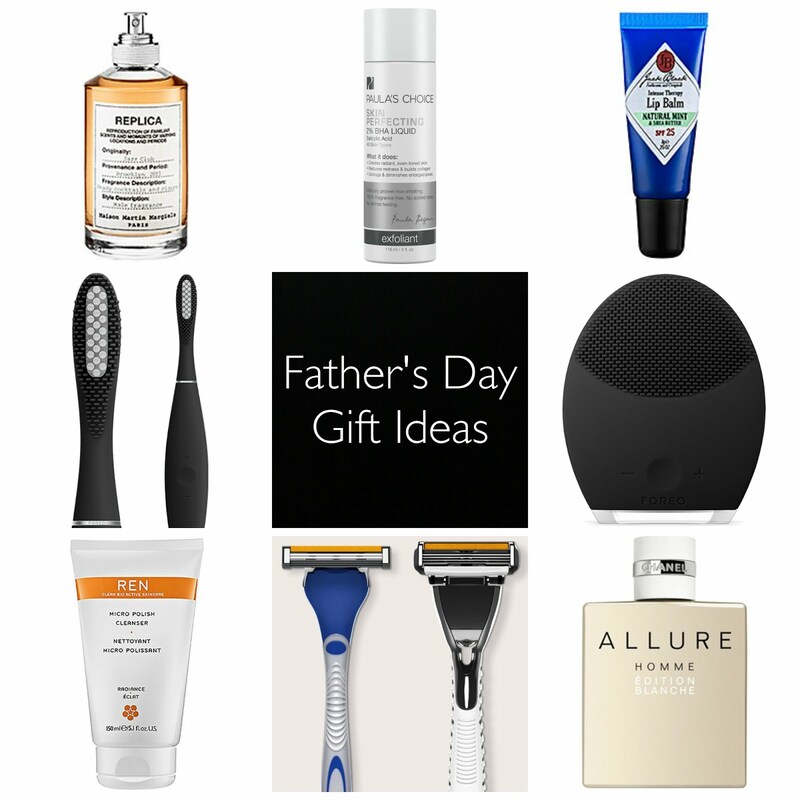 You'll notice smaller pores, smoother skin, and a better shave. Win, win, win. Dollar Shave Club Razors (Found on their site here) -- We've all seen the crazy commercials, well ladies and gents, this is the real deal. I've been using their Humble Twin razor for over a year now and I'm getting five cartridges for $3 a month shipped. I'd say buy them a subscription for a few months and quit paying outrageous amounts for razor blades. Maison Margiela Replica Jazz Club (Found on Sephora.com here) -- Yes, yes, and more yes. The first time I smelled this I made Chris buy it (Well, I didn't make him, but I got him a sample at Sephora and he bought it himself a few days later, but I take all the credit). It's got a mixture of tobacco, musk, vanilla, and a bit of leather. P.S.-- it's actually unisex and I've ran into a few ladies who wear this and it smells amazing on them too. Chanel Allure Homme Edition Blanche (Found on Chanel.com here) -- This is a beautiful scent if you're looking for something that has some masculinity to it, but doesn't fall too overbearing. It's a little lemony, but also has notes of pink peppercorn and sandalwood. Chris got this at Duty Free in Sydney when we were heading home and I've been actually wearing this a few times as well. I hope you all found that somewhat helpful :) What are some of the items you're getting that special someone in your life? First Impressions: Paula's Choice Skin Perfecting 2% Liquid Exfoliant. Chris picked these up for me because I had never tried Paula's classic (I think the Skin Perfecting BHA Liquid is the item from the brand I see mentioned most next to the 1% Retinol). I've been looking for a good BHA to use in the morning after shaving that doesn't dry my skin out or cause congestion (cause believe it or not, I've ran in to some that do -- which seems counterproductive). 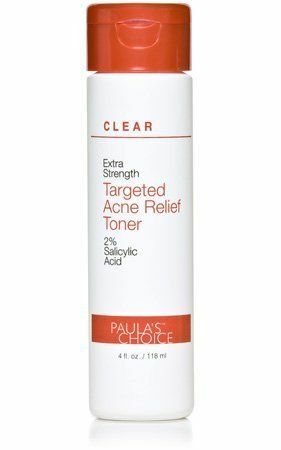 I had actually tried a BHA from Paula's Choice in the past from their Clear line for acne and shortly into using it, I was going through a period of breakouts, so, I placed blame on the toner and shortly after discontinuing my skin cleared up. Looking back, it was probably user error and I'm sure I was using something else my skin didn't agree with. So, I happily obliged to trying again and was certainly optimistic that this could become the BHA I've always wanted! Water, Methylpropanediol, Butylene Glycol, Salicylic Acid, Camellia Oleifera (Green Tea) Leaf Extract, Polysorbate-20, Sodium Hydroxide, Tetrasodium EDTA. It's a very unique texture. 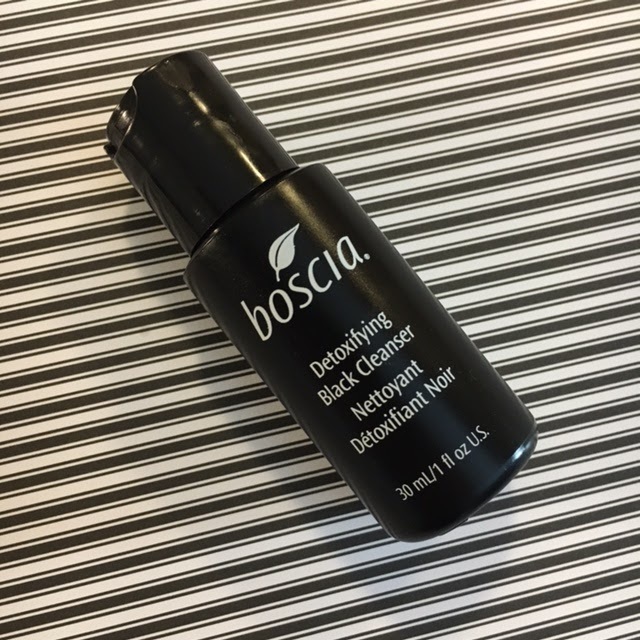 This is definitely not quite a traditional BHA toner that evaporates on the skin due to the high alcohol content (This product contains none) -- it's actually somewhat viscous and has a slip to it, almost slick on the skin, but not quite oily. If you're used to the somewhat sticky feeling something like a Stridex Maximum Strength Pad can leave behind, this will definitely be different. Looks like water but it is a bit "creamier"
I love the packaging. Yes, it's no frills, but as I've said before, I don't need something glamorous if what's inside is effective. The opening in this is small enough that the product doesn't pour out, but you'll almost need to shake it out on to a cotton pad or fingers (I've used cotton from Muji to apply this all four times so far, but I've HEARD that people do use their fingers...I'm personally good). I've enjoyed using it so far. No adverse effects. No new clogs, no irritation, no flaking, no redness. I'm happy so far! I'm looking forward to continual use to see how this goes. If I end up continuing to use it and enjoy it, I think I'll reserve it for AM using post shaving and I'll add my FAB Radiance Pads back in to my routine. Have you tried this before? If so, what are your thoughts? Do you have a favorite BHA product? First Impressions: Boscia Detoxifying Facial Cleanser. Believe it or not, I was cleaning out under my bathroom sink this weekend because it had become overflowing with travel shampoos, conditioners, small sized skincare, wash clothes, towels, etc. I managed to toss quite a bit and pass some things along to a friend that I knew I wouldn't try, but I actually found two of these 1oz sizes of this cleanser. I knew there was a reason I had actually bothered to put these down there since any cleanser with sulfates or crazy ingredients wouldn't have even stayed in my house. I had actually spoke to Chris (YouTube link here) this week about this, so, I was glad I stumbled across some. 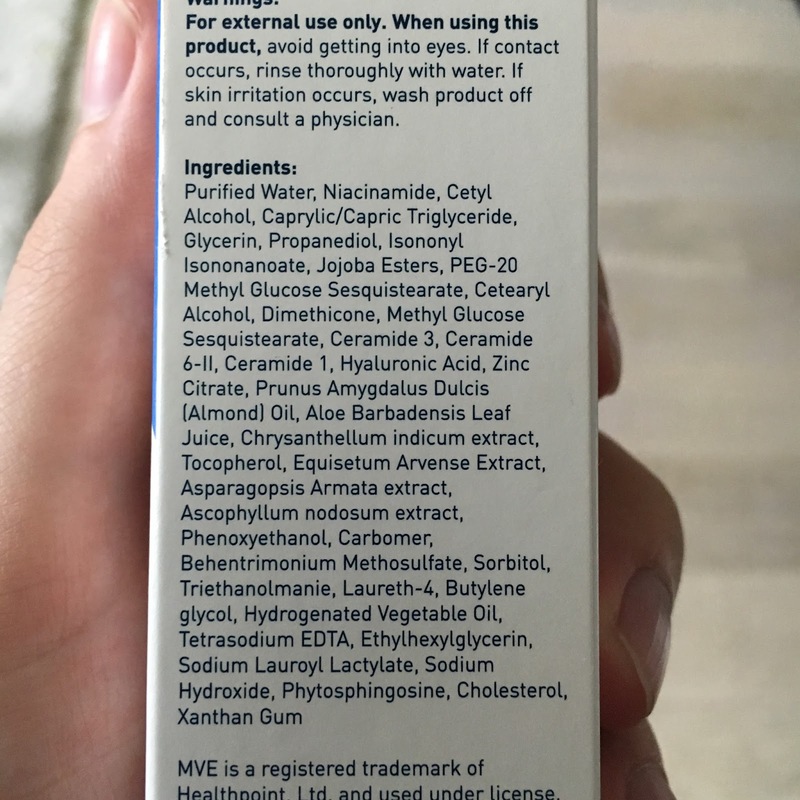 Glycereth-26, Glycerin, Sodium Cocoyl Glutamate, Polysorbate 20, Sodium Lauroyl Glutamate, Simmondsia Chinensis (Jojoba) Leaf Extract, Epilobium Angustifolium Flower/Leaf/Stem Extract, Cynara Scolymus (Artichoke) Leaf Extract, Glycyrrhiza Glabra (Licorice) Root Extract, Ascorbyl Glucoside, Alpha Glucosyl Hesperidin, Glycolic Acid, PEG-120 Methyl Glucose Dioleate, Ceteth-25, Oleth-10, Butylene Glycol, Citrus Paradisi Seed Extract, Xanthan Gum, Water, Charcoal Powder, Pelargonium Graveolens Flower Oil. So yes, there is actually charcoal powder inside it. I applied this to fairly dry skin (there would be some level of moisture level as I had just used a damp cloth to remove my Ren balm, but my skin wasn't anywhere near dripping wet). This cleanser felt slightly gummy at first with a somewhat hard to move texture, but after about 5-10 seconds, it quickly gains a little more slip. Also worth noting is there is a slight warming sensation to this cleanser at first that Boscia claims helps to detox the skin...hogwash. It helps it feel nice, but that's all I'm assuming it does. The photo above shows it spread for a few seconds with no additional water added. You can tell that it's still slightly black on the skin even when thinned out. I massaged it all over my face for about thirty seconds prior to very lightly wetting my hands and continuing to massage. Once water was introduced, the cleanser had a VERY small amount of lather. I wouldn't even say lather, but it does go slightly white. If you've used something like the Sunday Riley Ceramic Slip, it's similar to that where you can tell you're cleansing your skin for those who need to see something going on, but for those like myself who cannot stand a lathering bubbly cleanser, I'm still 100% comfortable using it. I kept this on my skin for a little over a full minute, rinsed away with water, and patted my skin dry. I quickly looked back in the mirror to see what my skin looked like (Was it red? Did it look tight? Did chin look scaly? The last is often a problem with cleansers too "detoxifying" or "deep cleansing"). It was none of those. My skin looked bright, even, and smooth. It also felt quite comfortable. I applied my Good Genes and went on my merry way. Boscia's Detoxifying Black Cleanser is $28 USD and can be found on Sephora.com here. ITLO: May 22nd - June 4th. I wanted to create a segment for my blog called ITLO (In the Life of) to recap happenings across my social media every two weeks so I can put any new YouTube videos, the latest Instagram posts, and anything else that would be easier to have all in one place if you needed to catch up on what's going on plus some additional cool things that I feel like adding. I went to the grand opening for the Blue Mercury in Tribeca with my YouTube and real life friend Chris (His channel is here). There were quite a few people from brands in showing off some of the latest tips and tricks, drinks, beautiful blue and white cookies that I shared on Snapchat before quickly devouring, and Marla Malcom Beck and Barry Beck, the founders of Blue Mercury. Chris and I spent a little over an hour talking shop with each other, swatching, blending, and smelling all the brand new testers (a joyous occasion, obviously). I managed to leave with the new Chanel UV Essential SPF 30 Sunscreen (On Nordstrom here). I'll be reporting back my thoughts on here more than likely, so, stay tuned. I was also kindly gifted from a friend who works at BECCA all four of their current foundations to test out and play with (All in the shade Porcelain). I asked on the above photo to see which you'd like to see reviewed first the winner was definitely the Ever Matte. I've tried it about three times so far and I definitely like it. I'll be filming a review for it more than likely tomorrow morning (fingers crossed I can wake up early enough to do so). I am provided product for consideration occasionally, however, I will not accepted sponsored posts here or on any of my social media. I do use affiliate links (Meaning I earn a small commission if you chose to shop through those links) in my posts, however, you are 100% more than welcome to use google as well (Hell, I do it). All thoughts and opinions (however strong they may be) are my own.